Wine and cocktail bar serving small plates in Harlem. 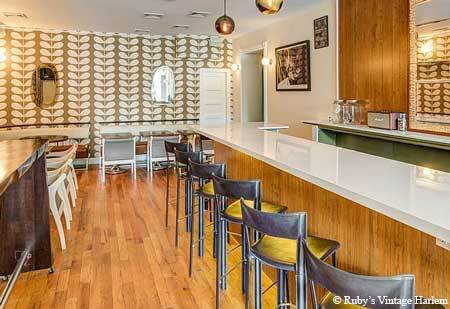 : Ruby's Vintage Harlem is named for Ruby Dee, the artist and activist who once lived in the building. The wine and cocktail bar serves small plates in a sleek, modern space.